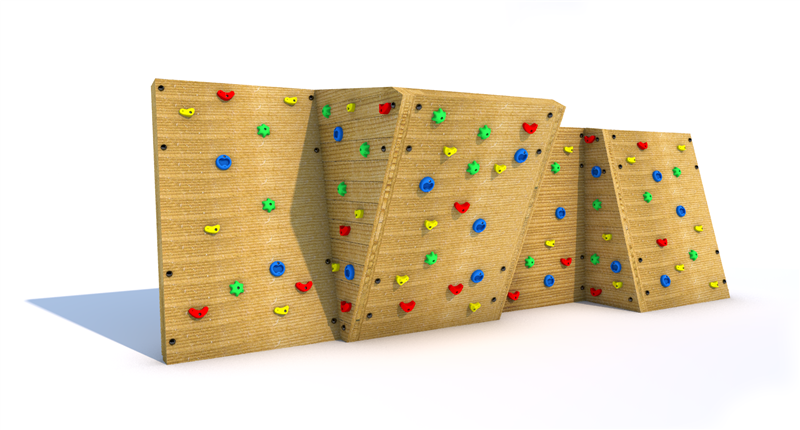 Our Bouldering Climbing Wall caters for mixed abilities, offering easy routes with lots of handholds all the way to the more difficult options such as overhangs. It can be approached as singular panel climbs to get to the top, or as a horizontal route around the entire product. The freestanding zigzag design allows for challenging climbs on both sides, ensuring the possibility of simultaneous use throughout; making it perfect for playgrounds of all shapes and sizes. Climbing walls are a fun way for children to explore their core stability as well as upper/lower body strength and hand strength. The sport is known for improving physical flexibility and concentration levels, but also benefits cardiovascular health, muscle stamina and is ideal for maintaining a healthy weight.